The mayor reported to work on 16 February for the first time since late December. The Special Anticorruption Prosecutor's Office (SAPO) has filed a motion with a court, seeking the dismissal of Odesa mayor Hennadiy Trukhanov, SAPO deputy head Volodymyr Kryvenko has told Ukrainian News. The hearing of the motion has not been scheduled yet. The SAPO also filed a motion with Kyiv's Solomyanskyy district court to arrest the property owned by Trukhanov and his deputy Pavlo Vuhelman. The property in question concerns assets listed in open registers and e-declarations, including residential houses and land plots in Odesa, a collection of watches and cash, Ukrainian News quoted a source in the SAPO as saying. Trukhanov was detained at Kyiv's Boryspil airport on 14 February. The next day, Kyiv's Solomyanskyy district court released him on the surety of MPs. The SAPO said it would appeal this decision. 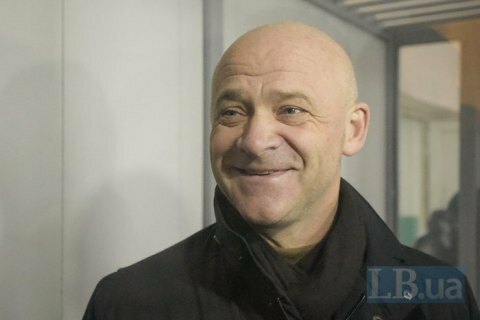 On 16 February, Trukhanov reported to work for the first time since late December. Trukhanov is suspected of embezzlement of the bankrupt Krayan factory, which was sold for 4m hryvnyas in early 2016. In September 2016, the Odesa mayor's office bought it back for 185m hryvnyas.